In recent times, music, rock music in particular, has tended to be void of political or anti-establishment sentiments, a trend that worryingly found prominence in Ireland. Bucking this trend, however, is a Dublin band, the Rags, who, led by Daniel Anderson, over the past number of years have released a string of brilliant if underrated singles and played scores of impressive live shows. Their long-awaited debut album appeared to elude them until now; and A National Light has certainly been worth the wait. It’s refreshing to discover a band dealing with the everyday complexities of Irish life and the many issues, social and political, that are often left to the preserve of the folk fraternity. Their style and sensibilities have much in common with those of the Libertines and the Smiths, having the ability to comment substantially on social issues while wrapping it up with beautiful poetic lyrics, catchy hooks, and cracking tunes. While there are influences from further afield, it’s rooted deeply in Dublin through lyrical content and the distinctive raspy vocal delivery, akin to a Dublin Johnny Rotten. It is the marriage of these two strands that hits the spot. The opener, “Uniforms and Neckties,” is an angry, stinging attack on the modern money and material-obsessed rat race. “A National Light,” with a little help from James Joyce, declares a dream where parliament is “sacked” and there is a new, shared ownership of the city. Whilst the record is quite angry and forceful, it’s still very upbeat, steering clear of the pitfalls of angst, whinge-ridden rock, which has destroyed many an Irish band, instead delivering an enjoyable and formidable record. This might have arrived just in time: with a country full of anger and despair they can provide some confirmation that we are not the only ones. You might not always agree with what they say, but, like so many great songwriters, he is baring his soul to the world for all to see, and that kind of truthfulness and honesty must be saluted. 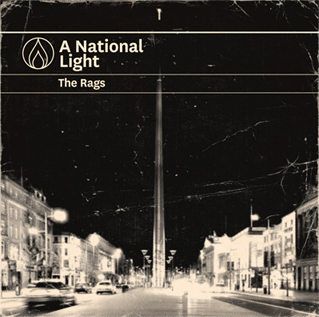 A National Light is out now.